Supported android versions 4.4 (KitKat) and higher. 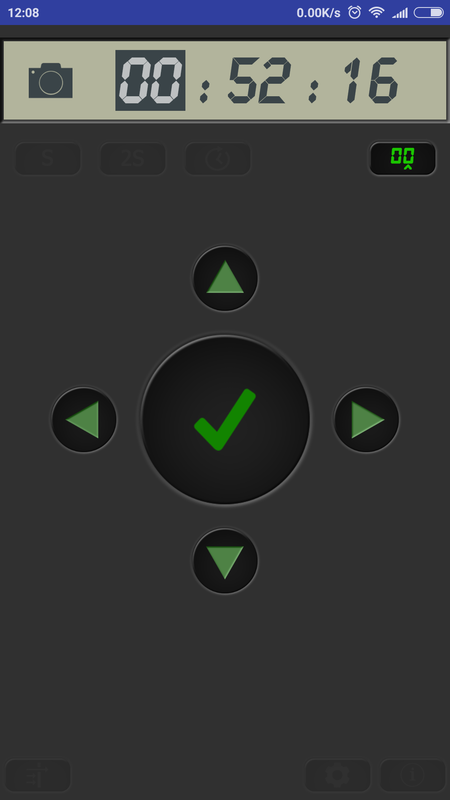 Sony IR remote uses remote control commands SHUTTER and 2 SEC, compatible with the device RMT-DSLR2. 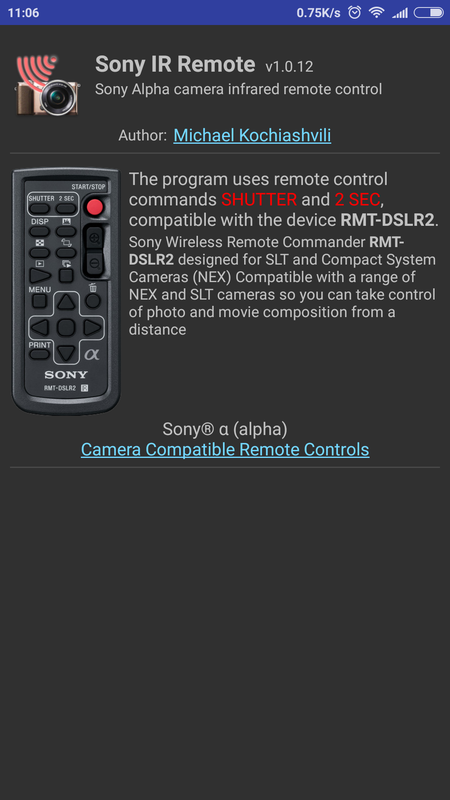 Sony Wireless Remote Commander RMT-DSLR2 designed for SLT and Compact System Cameras (NEX) Compatible with a range of NEX and SLT cameras so you can take control of photo and movie composition from a distance. 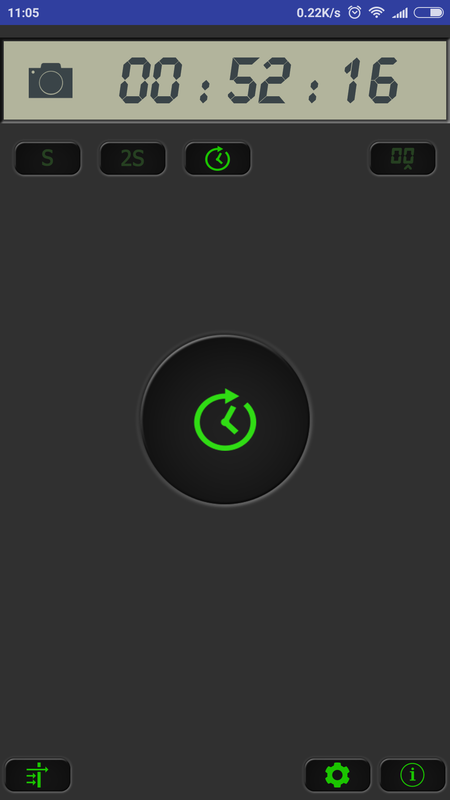 Modes: Shutter, 2sec (2 seconds delay shutter), timer. 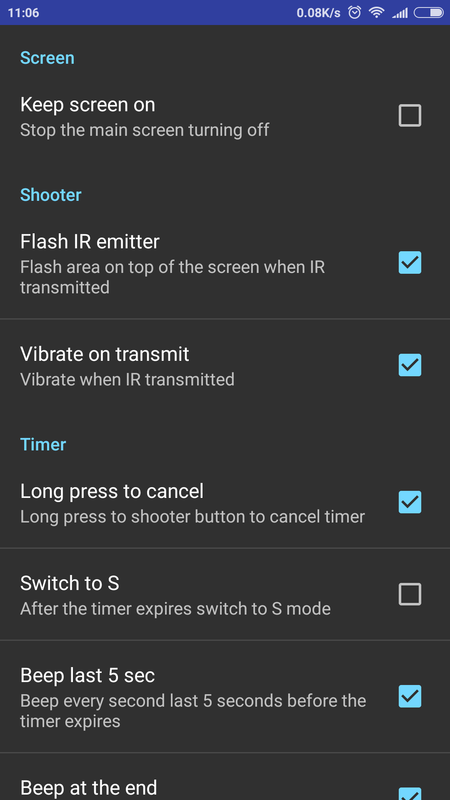 Works in timer mode if your phone does not have an IR blaster. 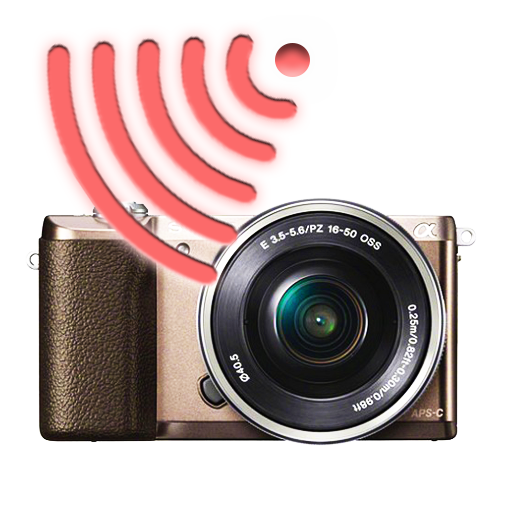 We do not transmit, collect or store your data anywhere. 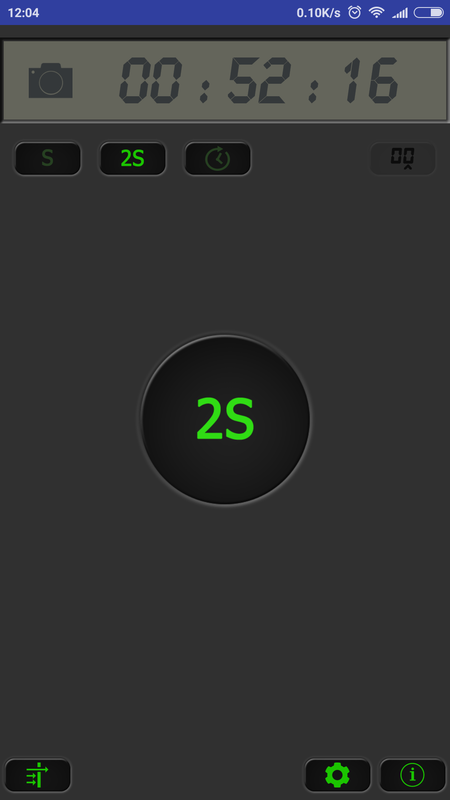 2S (2 seconds delay) mode. 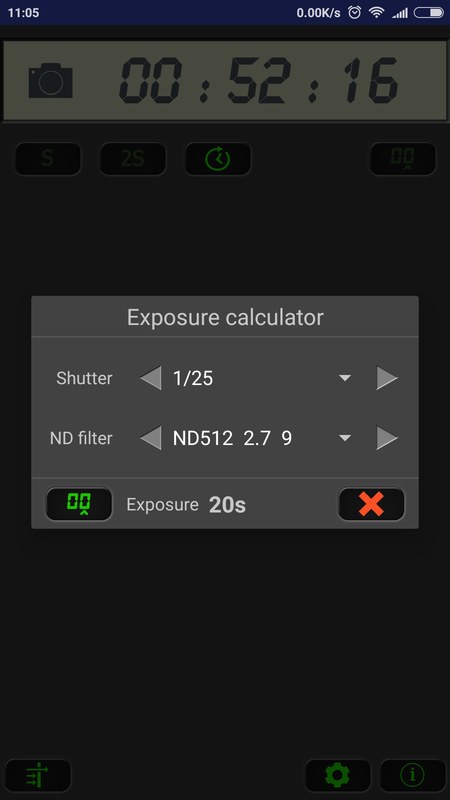 Exposure calculator for ND filters. 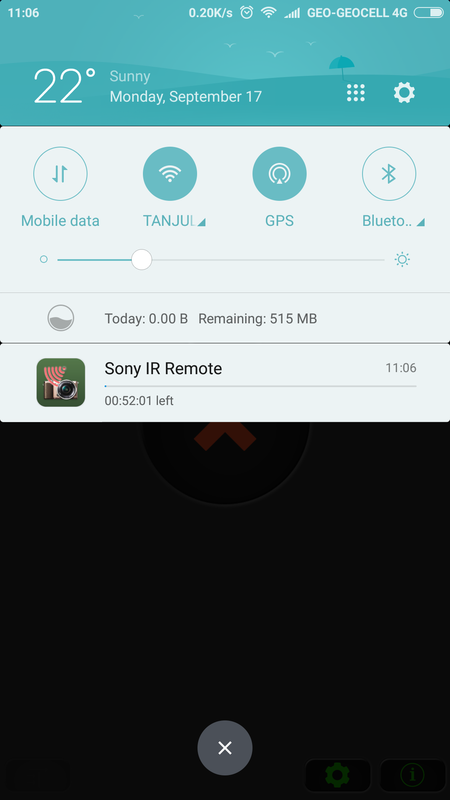 Notification bar when timer in progress.